24 March 2009, Keelung, Taiwan – Lian-Li Industrial Co. Ltd has launched the PC-B10 Mid Tower chassis. The all aluminum design features two fans on the front (1x 140mm@900RPM + 1x 120mm@1500RPM) and one rear 120mm@1000RPM extraction fan. The sleek brushed aluminum chassis has a front door with lock which gives access to 5x 5.25” bays for ODD’s. The fans have removable filters which are easily removed and washable. The dimensions stand at 210x440x515mm ( W, H, D). The unique Power supply bracket allows the PSU to be secured using only the tool-less designed clasp ideal to hold the PSU securely. The side panels have foam padding to make sure that noisy components are completely silenced. 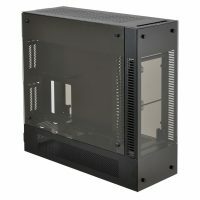 The chassis is imbued with all the functional and user friendly design aspects users have come to expect in a Lian Li case. 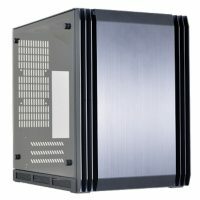 Lian Li engineers have optimized the airflow to enter from the front mounted fans, directly cooling the HDD’s and ODD’s and thereafter refreshing the CPU region. The hot air generated by the CPU and GPU is directly extracted via the rear 120mm Fan. The volume of airflow is sufficient to keep your rig cool and conveniently silent. 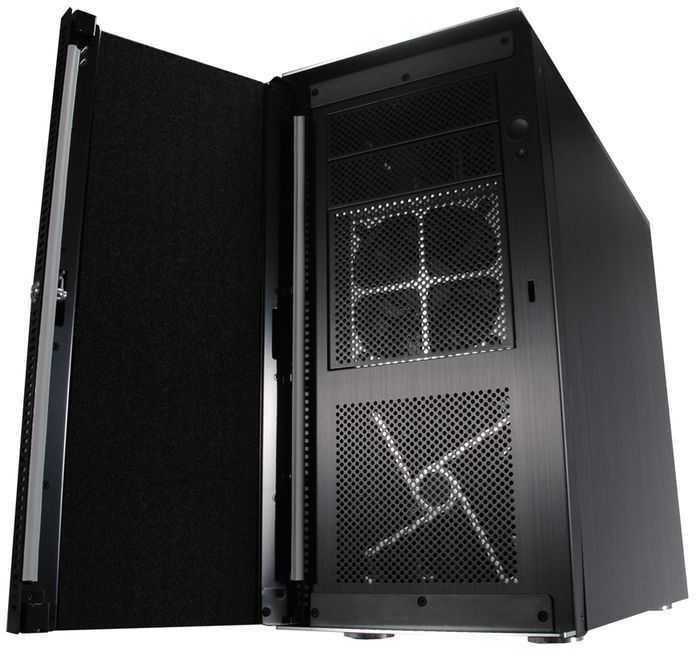 The chassis supports 5x 5.25” Optical drive bays with one optional 1x 3.5” external and 4 additional internal 3.5” bays for HDD’s in an anti-vibration cage. The HDD cage is accessible from the left side panel, and each HDD is mounted with anti-vibration grommets to reduce noise from HDD vibrations. 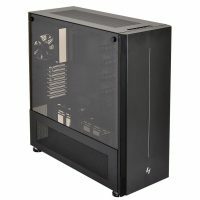 The PC-B10 case is for Micro-ATX or ATX motherboards and has 7 PCI slots, which are well ventilated with special vented brackets. The top panel is removable with the multimedia I/O ports on the top panel consisting of 2x USB2.0, 1x IEEE1394, as well as HD+AC97 Audio. The PSU has an adjustable bracket for extra long PSU’s.